Triple expansion steam, 27", 43", 69" x 42". 542NHP. Single screw, 14 knots. Built as KILKENNY for the City of Dublin Steam Packet Company, Dublin. Purchased by the G.E.R. in 1917 and renamed FRINTON in 1919. 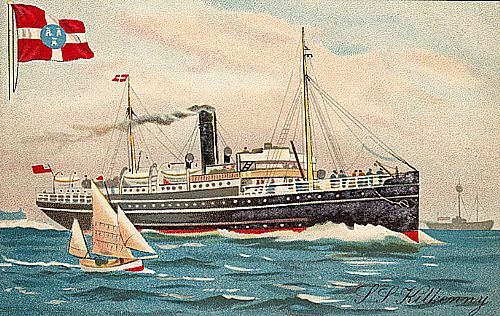 Sold in 1927 to Samos Steam Navigation Company, Harwich, resold in 1928 for service in the Mediterranean without change of name, being lost by bombing at Megara in April 1941.